Todd Hicks, the new principal of Begbie View Elementary takes a selfie on the first day of the new school year. Students and parents gathered in the gymnasium to start the year before they grouped up and went off to their respective classes. Similar scenes played out at Revelstoke’s other elementary schools. 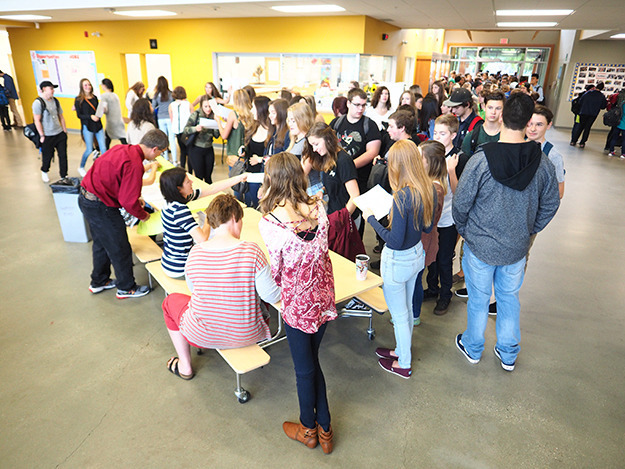 Meanwhile, at Revelstoke Secondary School, there was a long lineup for students eager to get their schedules for the new year.